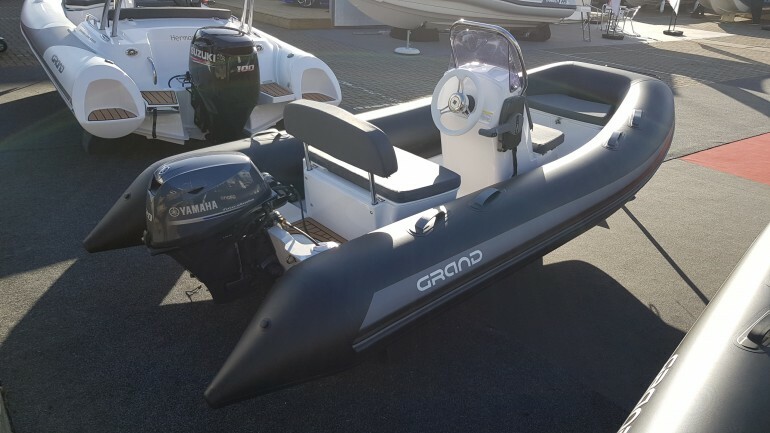 Grand Silver Line RIBs are for clients looking for a good value and functional RIB. The Silver Line range from 2.5 m to 5.5 m with most models available in Open, Sport or Deluxe versions. 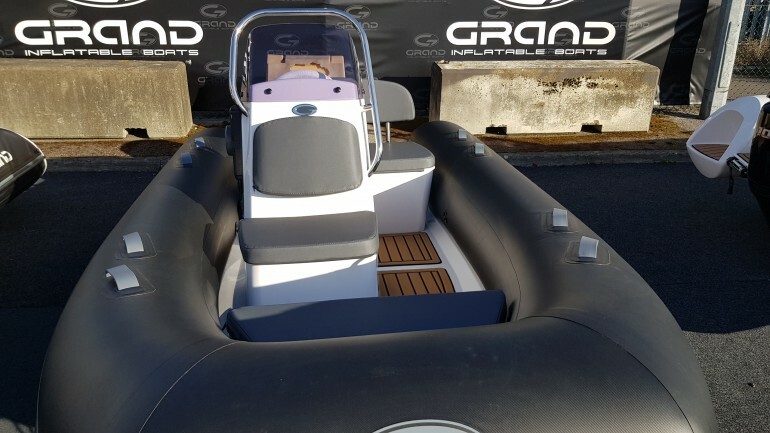 The Base model is a conventional tender featuring two removable wooden seats and oars, along with several other features and optional equipment. The Sport Model comes standard with a central sports jockey console and complete steering system; power options of up to 15hp, while the Deluxe Model comes supplied with the option of a double seat aft and steering console with an extra seat to the side of the console. 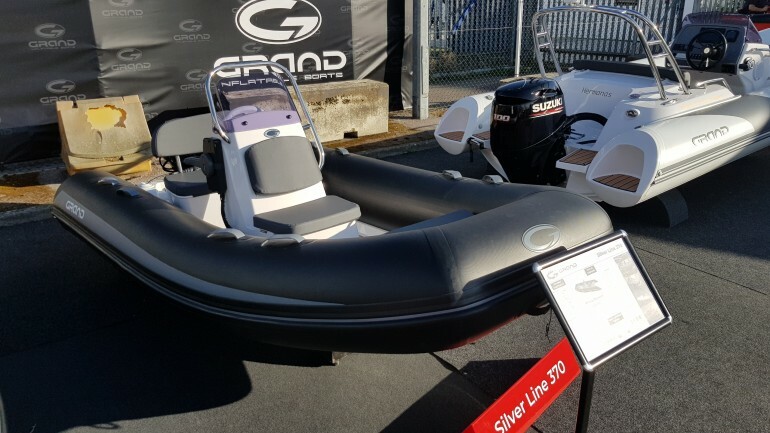 The Silver Line 370 is part of the new generation of mid-size Grand RIBS. 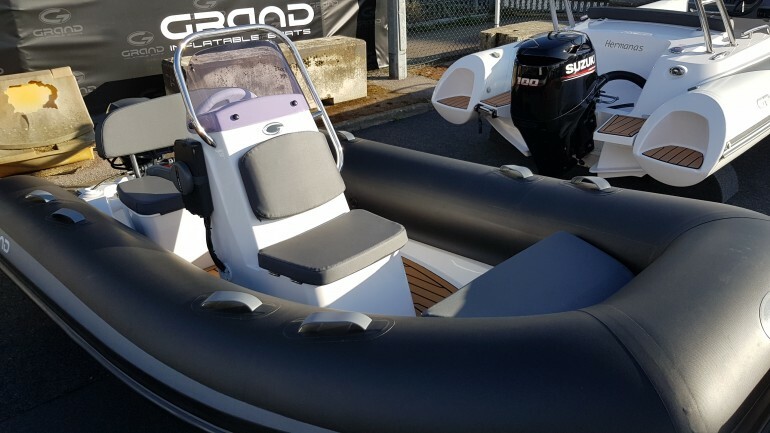 The Silver Line 370 developed with the new original Grand Dart-Hull design system, that allows it to be surprisingly fast with exceptional stability and a soft ride. 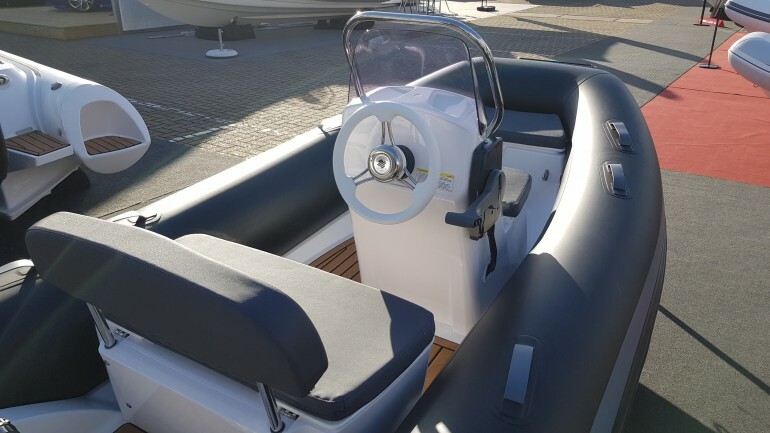 Complete with an impressive cockpit space with wider bow for more seating and storage, this extremely light-weight hull would make the 370 a brilliant large tender.